A powerful phone let-down by inconsistent performance and mediocre build. Excellent for gaming; Crisp Full-HD screen; Very good camera (front and back); Impressive sound output; Good battery life. Plagued by random reboots; Metallic-frame has rough spots; Limited storage; No SAR rating. Xiaomi phones such as the Mi 3 and Redmi 1S have been selling like hot-cakes in India. Demand for these products is so high that the batches of tens of thousands of phones go out-of-stock in a blink of an eye. Considering the way, customers prioritise specifications and benchmark scores over the user experience, Xiaomi's upcoming phone Mi 4 will too receive a warm welcome. The Xiaomi Mi 4 is quite a good looking phone. As opposed to most Chinese brands, the design simple and clean. Although the body is made of plastic, the metallic frame provides a premium feel to it. Compared to the similarly priced phones from Nokia and HTC, the Mi 4 disappoints with the attention to detail. For instance, the USB port housing is not machined properly — it's coarse to touch. Even the metallic frame too sharp from ergonomics' angle. Apart from the Mi 4, Nokia's Lumia 830 makes use of the CNC (computer numerical control) machining process in this price-range. However, the Mi 4 fails to deliver the finesse you get on the Lumia 830. The back is made of glossy plastic, which somewhat cancels the metallic charm of this handset. Matte plastic would have helped the Mi 4 look sophisticated. The battery is user-replaceable. However, removing the back-panel is quite a task — you cannot do it without using special tools. The Mi 4 offers a 5" Full HD IPS screen. At this resolution, you get the pixel density of 440 ppi — that's exactly what the Mi 3 offers. To give you an idea of how sharp that is, let me tell you that the most expensive iPhone 6 Plus doesn't cross the 400 ppi mark. However, viewing experience is more than just a number. 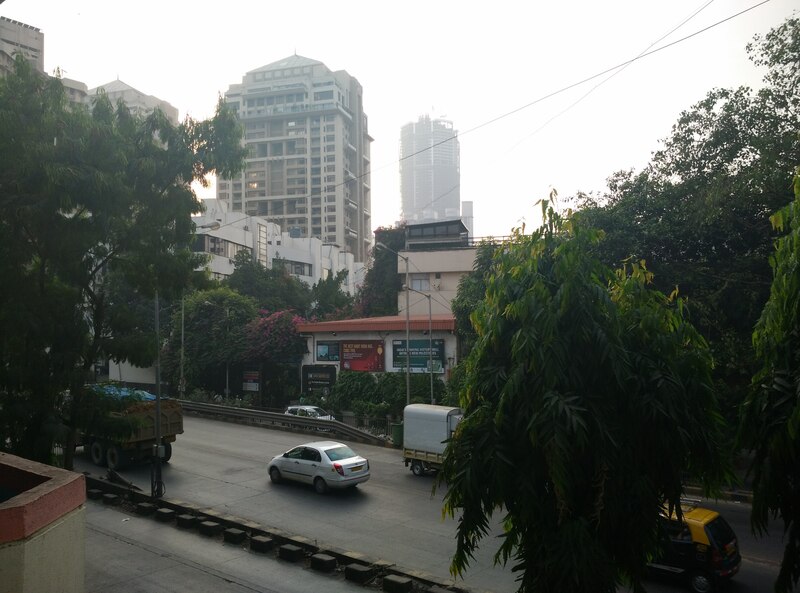 And the Mi 4 is not that great in terms of vibrancy and contrast. Similar to the Lumia handsets, you can alter the phone's colours and saturation settings, which is good addition. What's sorely missing is the scratch-resistant glass. Chinese manufacturer Xiaomi has always been generous when it comes to specifications. Little wonder then, the Mi 4 is backed by the top-of-the-line Snapdragon 801 chipset ticking at 2.5 GHz. There's Adreno 330 GPU and 3 GB RAM to handle gaming and other intensive tasks. In the camera department you get a 13 megapixel snapper with dual LED flash. Cashing-in on the latest Selfie-trend, Xiaomi has thrown in an 8 megapixel front-facing camera. Other features include 16 GB internal storage, Wi-Fi, Blueooth 4.0, and 3080 mAh battery. What's missing here is the microSD card slot. The Mi 4 runs heavily-modified Android 4.4.4 Kitkat. MIUI v6 to be precise. Unlike Android phones, the Mi 4 lacks app menu. You have to arrange all the app icons on the iOS-esque homescreens. The App Folder feature too looks and works exactly how it does on the iPhone. In short, it is a Chinese man's iOS 8. So while it loses-out on originality, I must admit that Xiaomi has done a good job with Menu animations and transition effects. The phone's UI very smooth. It's almost as quick as the recently reviewed Moto G. Most demanding games we have loaded so far are running fine on this handset. However, the unit we have received has a stability issue. The phone reboots at least 4-5 times a day. Twice I restored it to the factory setting, hoping to get rid of this problem. But, that didn't help. Despite so much power, it also takes a second or two to open contacts and messaging app. As a bonus, the phone comes with some preloaded Chinese apps. Out of the bunch, one particular app provides full access to pirated songs. Of course, it is illegal. Hmm... "Your SIM card is unactivated"
If you only care about gaming though, this phone does not disappoint. The handset was able to run high-end games such as Real Racing 3, Asphalt 8: Airborne, and Modern Combat 5 without a hint of stutter. Long story short, when it comes to gaming, the Mi 4 is as good as more expensive phones such as the Xperia 3. The Mi 4 doesn't ship with earphones. That's quite unusual for a phone in this price-range. When paired with good IEM's, the sound output was flagship quality. The music player's interface is nicely done. However, it has uncanny resemblance with the Xperia line-up. Watching movies was a great experience too. Throw any format at it, and it handles it without an issue. Photography is another area where the Mi 4 shines. The 13 megapixel snapper is coupled with dual-LED flash. The resulting images contain plenty of detail. The company has also managed to keep the visual-noise under control. It's also good to see Xiaomi opting for natural colours. The 8 megapixel front-facing snapper was good enough to please the Selfie kings and queens in our office. The only disappointing thing about the camera is its low-light performance. Here's the camera sample. Moving on to video recording, the Xiaomi records quality Full HD (1080) videos at 30 fps. Recording at 2160p is also possible, but is quite pointless considering the storage it gobbles-up. Plus, the device also lacks microSD card slot. Unlike most Chinese phones, the Mi 4 is a single-SIM device. The phone's network reception and call quality were good. However, like other Xiaomi phones, this one also lacks SAR (specific absorption rate) rating. Even the *#07# code, which shows the SAR rating on almost all phones, doesn't work on the Mi 4. Comes with a Chinese directory. The 3080 mAh battery lasts for a day and half with a couple of hours of gaming. In out video loop test, it kept going for around 9 hours. Considering its powerful processor, the battery performance is good. The Mi 4 is a power-packed phone. Ideal for gamers. Save for the low-light conditions, the camera is very good. The phone also impressed us with its multimedia performance. On the other hand, the phone has stability issues. It randomly reboots for no reason. Looking at Xiaomi's after-sales service in out country, you'll be lucky to get it fixed in India. The construction is also not as good in this price-range. Therefore, considering all aspects of the phone, I would recommend the Nexus 5, if you prefer gaming — the performance difference between the Snapdragon 801 and 800 is not significant in real-life scenario. Those looking for a premium build and love for the camera can go for the Lumia 830 that costs a couple of grand more than the Mi 4.